Ty Wildz appeared unannounced at the end of September 2012. 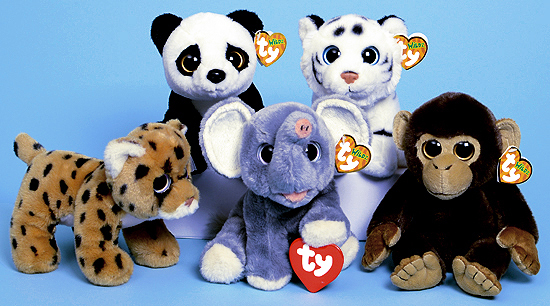 The five Wildz animals pictured below were found in a Hallmark store in Maryland. At the end of 2012, only nine Ty Wildz animals had been announced/released. On April 29, 2013, Ty Inc., abandoned the Trademark application for the name "Ty Wildz." That was the end of the product line.